On your home-related to-do list, we’re guessing “garage door replacement” is somewhere near the middle. You know it’s important, you know it’s been too long and your door has outlived its usefulness, but there’s just so much else to complete. However, we’re here to tell you that prioritizing your garage door replacement is not only useful, its essential. Why? Your garage door is the largest entrance in your home. That means that a less-than-secure or functional garage door can give intruders access to your prized items, more easily than a faulty front entrance or side door. However, a new and secure garage door actually doubles your home security by putting an extra door between you and the outside, one that will hold fast despite any efforts to break in. By making your garage door the very safest it can be, you ensure that your possessions, and most importantly, family, are safe and secure inside. Adding a garage door can increase your home’s value, making it worth more upon sale. No one wants to move into a home with a broken, faulty, or unreliable garage door attached. By replacing this eye sore, you ensure that prospective buyers will be more likely to pay what you know your home is worth. 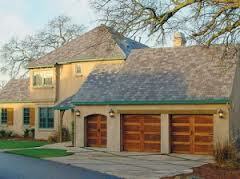 Insurance companies love new garage doors and often reward homeowners for having updated ones. Because garage doors provide extra security, insurance companies can help you get a better rate on your homeowners insurance policy. Consider the investment you make in the door a savings toward your future or current policy. Garages give you a unique space in which you can enjoy both fresh air when the door is open and a climate-controlled home addition when the door is closed. Solid, operational garage doors provide protection from the elements and insulate your home further against the heat and cold, as well as all the rain, wind, snow, ice, and humidity that the seasons bring to your doorstep. However, if your garage door is old, cracked, or does not close properly, you lose many of these benefits. Treat yourself to a new garage door and be prepared to enjoy a well-insulated home, properly protected storage space, and an area where you can work and relax in your climate of choice. Garage doors do more than just open and close to accomodate your car. They provide extra security, climate control, increased property value and even insurance savings. If you are interested in boosting your home’s effectiveness and saving money, investing in a new garage door is one of the best decisions you can make. Ready to take the leap? Call Ponderosa today!